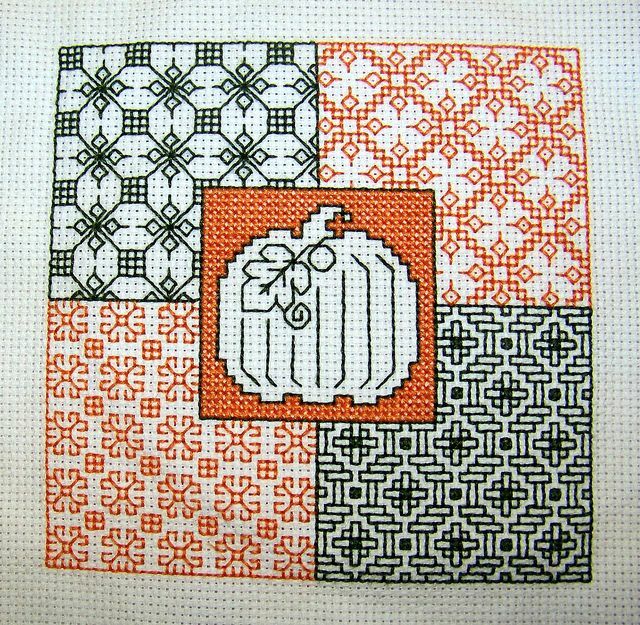 This piece combines blackwork and cross stitch to create a Halloween-themed motif. I was not able to find an actual stitch chart for this piece other than the picture below. Incorporate this finished piece into a pillow or frame it for a small seasonal picture to fit in with your Fall decorations.